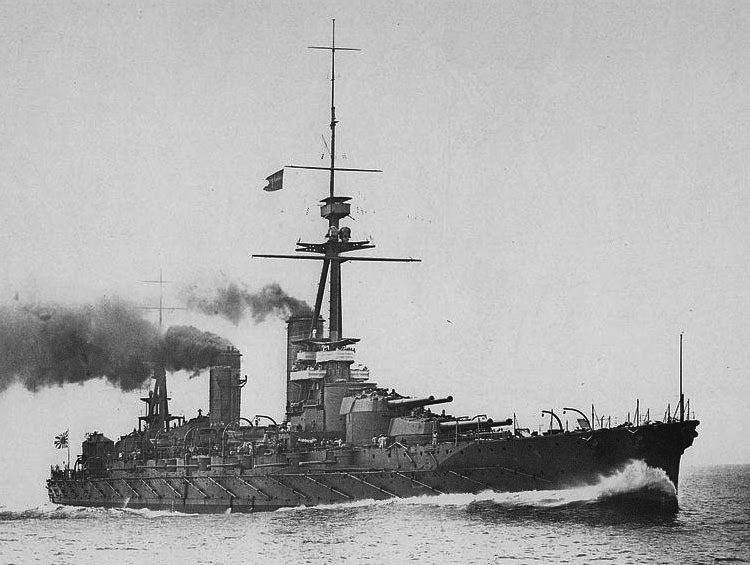 These powerful dreadnoughts were in fact far-off derivatives of the HMS Dreadnought in 1906. Their plans had been designed in Japan for the first time, but they were not the result of previous experience, including that of the Battle of Jutland. 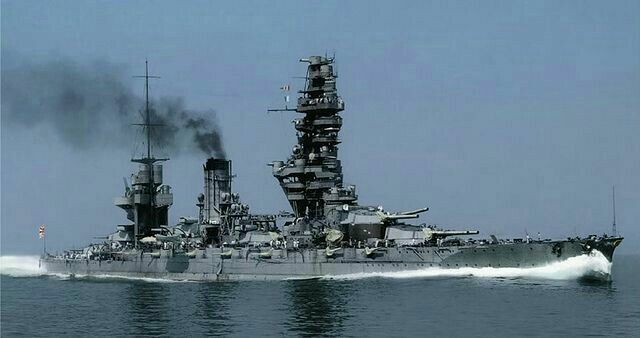 Japanese engineers stepped the next level of speed, that of a battle cruiser, while having the classic protection of a dreadnought. 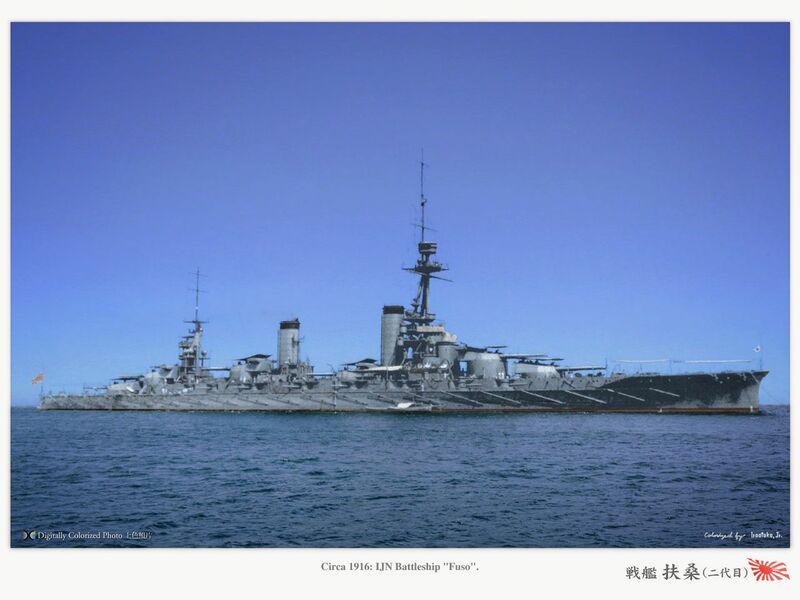 And they succeeded in creating the first Asian fast battleship, in line with the new breed designed in UK and Germany (The Queen Elisabeth and Baden classes). To house her huge machinery able to deliver more than 26 knots, the hull was massive. The Fuso and Yamashiro were laid down in 1912, launched in 1914-1915 in Kure and Yokosuka, and commissioned in 1917. They were by then among the most powerful warships in the world, the very embodiment of imperial ambitions in Asia. In terms of armament however, if they could bring to bear twelve 15-in guns, there was emphasis on the broadside. With some external post insight, this was not satisfactory compared to the US solution of having six guns massed in chase or retreat with triple turrets (like on the Pennsylvania and New Mexico classes) while the British already had larger caliber guns. The following Ise and Nagato would follow the same path of twin turrets, probably at first because the Fuso’s turrets and following were closely derivated of British models, and second, because it was a reflection of traditional line of battle tactics like crossing the T. The evolution on this would came after Jutland and gradually massed artillery at the front was seen as more desirable in the 1920s (as seen on Nelson and Dunkerque). The secondary armament in barbettes remained impressive. The Fuso class ships were the result of the shift in focus from the Russians, soundly defeated in 1905 and no longer a potential competitor, to the presence of the United Kingdom and US Navy with advanced and well-fortified outposts such as Manila or Singapore. Though, the Fuso class was meant to fight first in Japanese territorial waters. Strategist Satō Tetsutarō warned this next confrontational step was inevitable and Japan shall maintain at all time a battleship fleet 70% the US Navy’s strength. 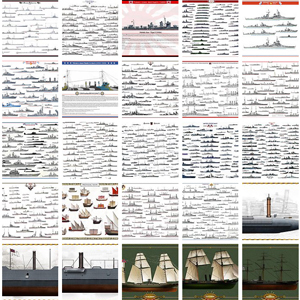 In that matter the 1907 program of sixteen battleships (8-8 plan) was ongoing. After the first Japanese dreadnought, the IJN Kawachi class in 1910, the diet curtailed budget for the original plan and after many debates eventually authorized four battlecruisers of the Kongo class (all built in UK) and a single Fuso class BB. 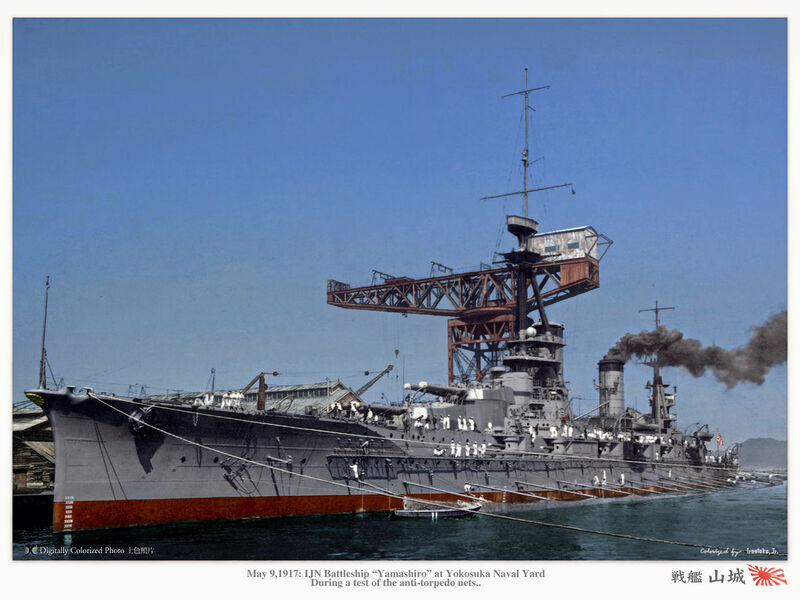 IJN Fuso circa 1916, colorized by Hirootoko JR.
Fusō designed was essentially the product of studying both the four battlecruisers in construction and close coordination with the British during construction. 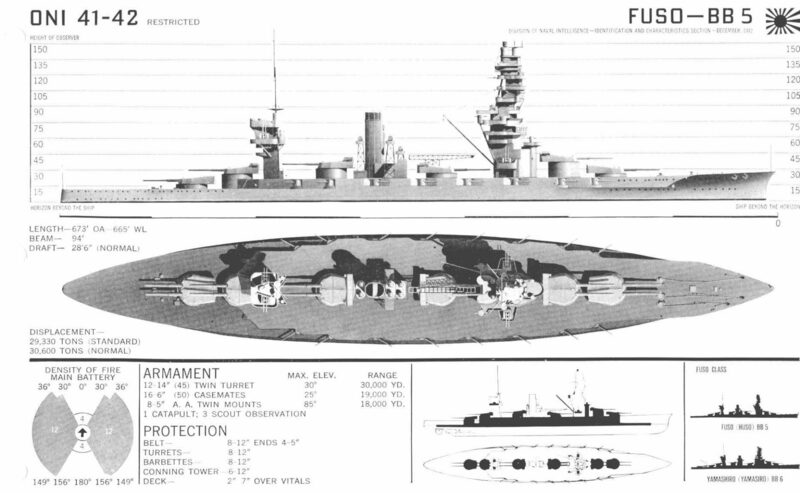 British design studies in naval architecture were just repatriated to be adapted for a domestic battleship design aimed at the New York class. Specs included twelve 14-inch (36 cm) guns and better speed than 21 knots (39 km/h; 24 mph). 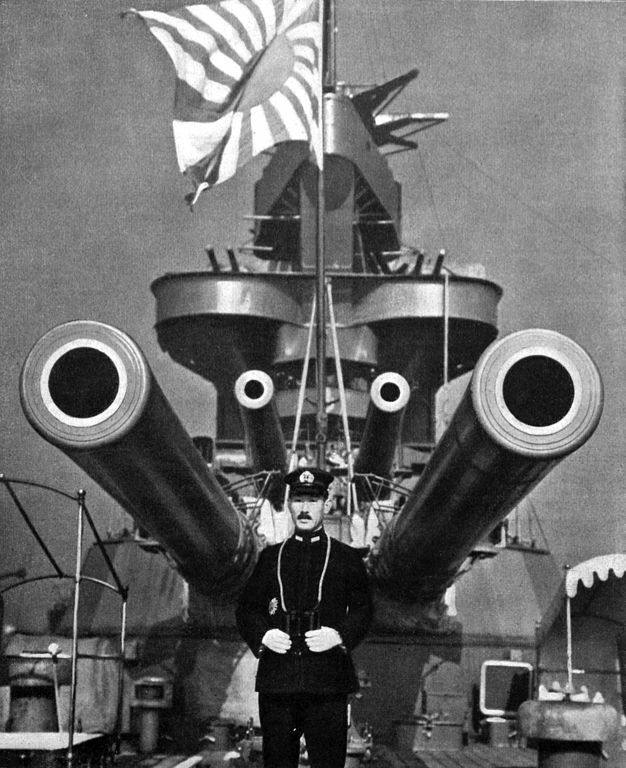 As to bounced back on the introduction chapter on turret arrangement, the Japanese had access to the designs for triple-gun turrets but nevertheless opted for six double turrets perhaps for the points mentioned above. The final design A-64 called for 29,000 long tons ships with the armament noted, and a top speed of 23 knots (43 km/h; 26 mph) by then superior to American equivalents both in armament and speed, in line with the orientation on qualitative superiority which would also fuel the design of the Nagato and Yamato afterwards. 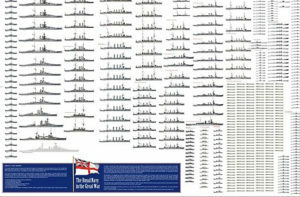 These ships were 202.7 meters (665 ft 0 in) in lenght overall, so well beyond the regular observed size of most battleships. This made for an elongated hull, gaining in speed, but loosing in agility. The beam was 28.7 meters (94 ft 2 in), in the standards of the time, for a still-comfortable draft of 8.7 meters (28 ft 7 in). Displacement was 29,326 metric tons (28,863 long tons) as designed, and the crew comprised 1,198 officers and enlisted men in 1915. With the addition of more modern armament, fire control, security teams and AA artillery, this rose to 1,396 in 1935 after refit and around 1,800–1,900 men during the war. The ships even could carry 3,000 men or more on their decks as they shown during operation of improvized troop transport. The Fusō and Yamashiro shared the same twin sets of Brown-Curtis direct-drive steam turbines mated on their own propeller shafts. There were medium-pressure turbines driving the wing shafts and high-/low-pressure turbines for the inner shafts. Turbines produced 40,000 shaft horsepower (30,000 kW) total. Steam came from 24 Miyahara-type water-tube boilers firing coal and oil. The ships carried each of 4,000 long tons (4,100 t) of coal and 1,000 of fuel oil. Range was therefore 8,000 nautical miles (15,000 km; 9,200 mi) at 14 knots (26 km/h; 16 mph), enough to each the southern pacific from Japan. Designed speed was 22.5 knots (41.7 km/h; 25.9 mph) but in sea trials Fusō reached 23 knots (43 km/h; 26 mph) and Yamashiro 23.3 knots (43.2 km/h; 26.8 mph) with forced heat and 47,730 shp. Both battleship armor was typical for pre-Jutland battleship and represented a totak of 8,588 long tons (8,726 t), 29% of total displacement. The waterline armor belt was 229-305 mm (12 to 9 in) with a strake of 102 mm (4 in) below. Decks ranged from 32 to 51 mm (1.3 to 2.0 in). Turrets faces were 279.4 mm (11.0 in), 228.6 mm (9.0 in) on the sides, 114.5 mm (4.51 in) on the roof and their barbettes were 305 mm thick. The 6-in casemates were protected by similar thickness (152 mm) armor plates. The conning tower was 351 mm (13.8 in). No less than 737 watertight compartments were arranged underneath or above the armor deck to preserve buoyancy. The main battery comprised as said above six twin turrets arrange on the centerline, two in central elevated mounts and two on superfiring positions for and aft. These 45-caliber 14-inch guns could elevate up to −5/+20 degrees. The decision of using twin turrets was rather poor as stated above, but in addition, it affected the length of protection required also the not superfiring arrangement and funnel in between were design issues that were solved on the next Ise-class battleships. More space indeed was used by that central arrangement than a pair of superfiring turrets in the center, not mentioning the restricted arcs of fire, and boiler rooms placed in odd locations, plus the extra requirements for additional insulation and air conditioning in the magazines because of the proximity of boilers. The battery was modernized during the interwar. The original secondary armament comprised sixteen 6-in/50 guns in single casemates each side on the upper deck level. Their arc of fire was 130 degrees for +15° elevation. Their shell was the 45.36-kilogram (100.0 lb) HE model capable of a 22,970 yards (21,000 m) range. RPM was about six shots with a well-trained crew. The decks and bridges also seen the installation 5-6 76 mm/40 AA guns (3 in) 75° elevation each side of the forward superstructure, second funnel, and aft superstructure, firing a 6 kg (13 lb) projectile at 680 m/s (2,200 ft/s) and 7,500 metres (24,600 ft). Finally, they had six 533 mm/21 in torpedo tubes submerged on the broadside for close-quarter combat. Serious things will start in effect around 1925. By that date, the super-dreadnoughts that were to replace them had been canceled by the Washington Treaty and were being converted into aircraft carriers. The rebuilding and overhaul of the Fuso began in 1930 and ended in 1933, then continued in 1935 and ended in 1937, while its twin Yamashiro, made it in one go, from 1930 to 1935. These years served to rebuild their machinery, boilers, resulting in a new silhouette, rebuilding their gangway and rear blockhouse, laying a catapult and service rail for the three embedded seaplanes, new rangefinders, control rooms, reconnaissance means and optical at the tip, as well as a powerful AA. The hull were enlarged and lengthened underwater protection greatly improved, speed upgraded to 25 knots. Modernization of 1933-35 consisted on having superstructures enlarged and new platforms stacked up all along their high tripod foremasts. In fact the last one on top was the main fire direction bridge. All the intermediary ones contained command bridges, control rooms, light projectors, Stereoscopic rangefinders and telescopes, morse projectors or signal systems, light AA guns and many others. The rear superstructure was also rebuilt. The primary goal was to accommodate 127 mm (5.0 in) AA gun mounts and additional fire-control directors. Crucially, ASW was a concern and generous torpedo bulges were added to the hull to improve their underwater protection and stability for added armour. To not lose to much in terms of speed due to the increased beam of 33.1 m (108 ft 7 in), sterns were lengthened by 7.62 meters (25.0 ft) for a final overall length to 212.75 m (698.0 ft) and all this weight traduced by a draft of 9.69 meters (31 ft 9 in), overall displacement jumping to 4,000 long tons (4,100 t), final displacement to 39,154 long tons (39,782 t) fully loaded in battle order. On the power side, the Miyahara boilers were replaced by six new Kanpon oil-fired boilers. Therefore exhausts were truncated and the forward funnel removed while four geared Kanpon turbines were fitted. This brand new powerplant produced a total of 75,000 shp (56,000 kW) as designed, and on trials this traduced to a top speed of 24.7 knots (45.7 km/h; 28.4 mph) for about 76,889 shp while fuel storage reached 5,100 long tons (5,200 t) of fuel oil, enough for 11,800 nautical miles (21,900 km; 13,600 mi) at 16 knots (30 km/h; 18 mph). While not performances of a true interwar super-dreadnought, they were sufficient for the task for ships of that era. During reconstruction, the armor was upgraded, with deck armor increased to 114 mm (4.5 in), longitudinal bulkhead 76 mm (3.0 in) (with high-tensile steel) for a better underwater protection. 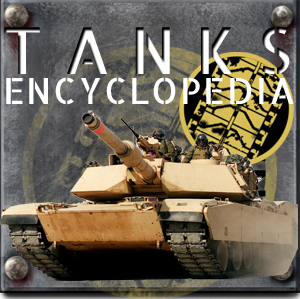 Total armor tonnage was brought to 12,199 long tons (12,395 t), 31% of the total displacement, but this was still not enough to withstand 14-inch shells. The main battery of the Fusō at first had its elevation ported to −5/+43 degrees, for a 35,450 yards (32,420 m) maximal range. The recoil mechanism of the guns was also modified to a more modern and faster pneumatic system. During the war, Type 91 armor-piercing, capped shells of 673.5 kg (1,485 lb) were used. Muzzle velocity was 775 mps (2,540 ft/s) for an effective range of 27,800, up to 35,450 meters (38,770 yd) at +43°. Second was the 625 kg (1,378 lb) HE model which had a muzzle velocity of 805 mps (2,640 ft/s) and third, a small provision of Type 3 Sankaidan incendiary shrapnels for AA use were also carried after refit. For the secondary battery, elevation of the 6-in guns was increased to +30 degrees, adding a 900m (980 yd) range while the light battery was modified. 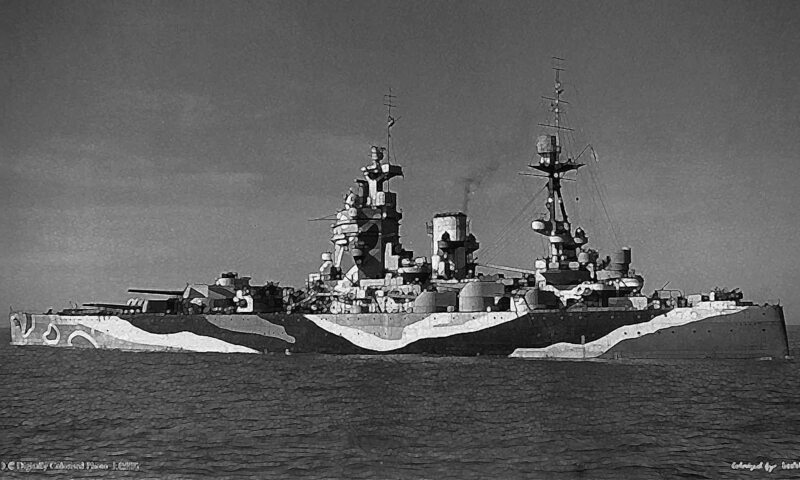 All of the 76 mm guns were replaced with eight 127 mm/40 (5.0 in) DP (dual-purpose) guns fitted on both sides of the fore and aft superstructures in twin mounts. Practical range was 14,700m (16,100 yd) and ceiling 9,440m (30,970 ft) for a +90° elevation and 14 rpm, down to 8 in sustained fire. The two foremost 152 mm guns were removed in the last modernization to save weight for more AA. Indeed, the light AA artillery at first was reinforced by four quad 13.2 mm (0.52 in) MGs derived from the Hotchkiss model on the Fuso while Yamashiro used eight twin 25 mm (0.98 in) AA guns also licensed air-cooled Hotchkiss design. These existed in single, double and triple mounts and used as standard but suffered from many shortcomings. Insufficient speed in elevation and traverse, gun sights no able to follow fast targets, excessive vibration, small magazine and excessive muzzle blast were criticized. The configuration of AA batteries originally diverged on both ships but after the final reconstruction, eight twin mounts became standard and later seventeen single and two twin-mounts were eventually added for 37 guns in total. By the summer of 1944, twenty-three single, six twin and eight triple-mounts were installed for a total of 95 AA guns on each ship. Another aspect of this modernization of course concerned rangefinders and fire control systems, like the analog computer table. Originally both ships were fitted with two 3.5 m (11 ft 6 in) and two 1.5 m (4 ft 11 in) rangefinders on the forward superstructure plus a 4.5 m rangefinder on Turret No. 2 roof while others were placed on turrets 3, 4, and 5. Late 1917 a new fire-control director was placed in the on the foremast top platform. The turret rangefinders were replaced by 8-meter (26 ft 3 in) models in 1923. After refit, four directors for the 127 mm AA mounts were added each side of the fore and aft superstructures plus a rangefinder on top of the pagoda mast, replaced in 1938 by a new 10 m (32 ft 10 in) rangefinder while new directors were added on the superstructure for the 25 mm AA guns while additional ones were fitted on funnel’s platforms. During the summer 1943 refit, a Type 21 air search radar was installed for the first time, on the roof of the main top rangefinder and the next summer in August 1944, two Type 22 surface search radar units were added plus two Type 13 early warning radars. Fusō would remain the only Japanese battleship to mount a radar on her funnel. The interwar: In 1939, despite their recent modernization, the two ships were ancestors. 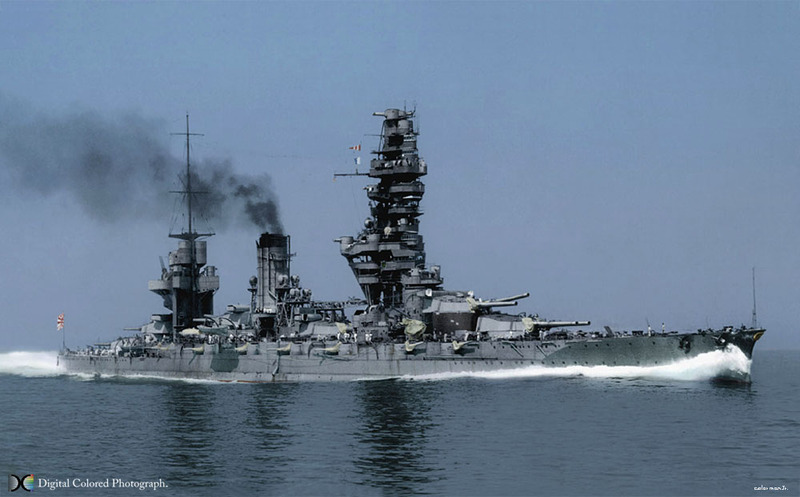 However fast and formidable, they formed a significant part of the naval forces of the Japanese Empire, consisting of the three pairs Fuso, Ise and Nagato, as well as the four Kongo. 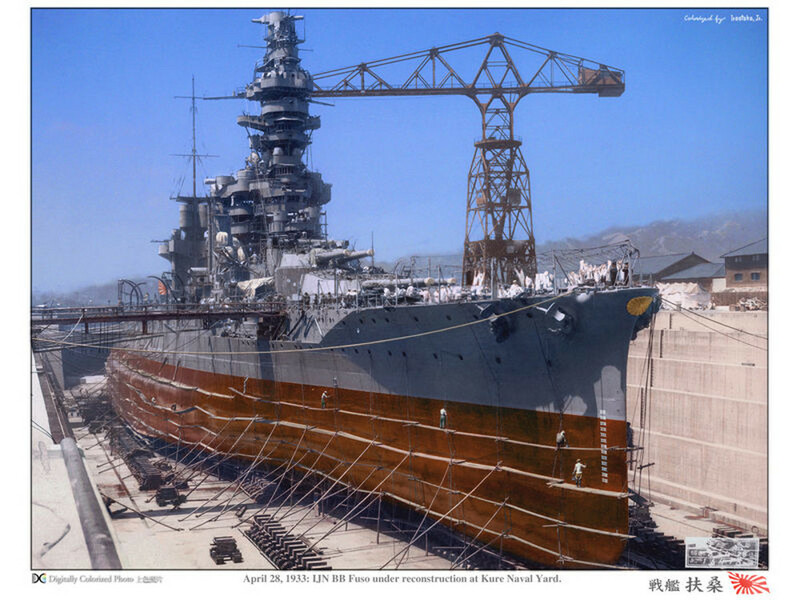 The Yamato and her twin were then in construction under the greatest secrecy. Between 1937 and December 1941, the crews of these two ships had plenty of time to train, but the active life of their ships was not as bright as expected, especially because of their age. 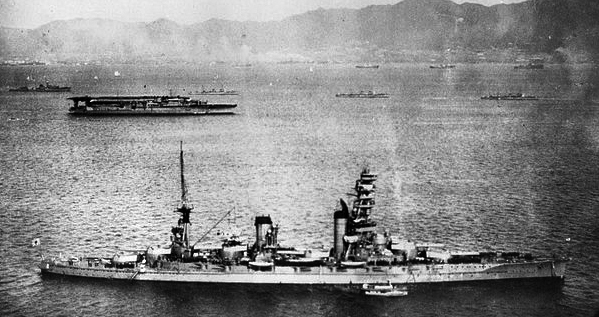 Fuso, Yamashiro and Haruna before the war. 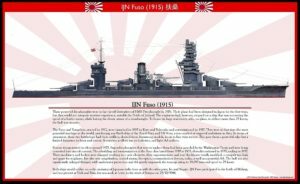 The Fusō (a classical name of Japan) was laid at Kure Naval Arsenal in 1912, and commissioned 8 November 1915, naturally posted with the 1s fleet, 1st division and patrolled off the coast of China during the Great War, and later acted as flagship. She never fired in anger during wartime. Placed in reserved in 1918 she received additional AA guns. In 1923, 9 – 22 September her crew helped survivors of the Great Kantō earthquake. She then resumed patrols on the China coast in 1924 and was placed in reserve in 1930 for her first large refit at Yokosuka and Kure. She emerged from this in March 1935 but served as training ship until 1937. Her second modernization started in 26 February 1937, completed on 10 April 1941. When the war broke out she was affected to the 2nd division, 1st fleet under Captain Mitsuo Kinoshita, together with the Nagato, Mutsu and aircraft carrier Hōshō. After patrols on the Hashirajima to the Bonin Islands she was a distant cover for the air force that attacjed Pearl Harbor in December. Her barrels were replaced at Kure from 21 February 1942, and she later tried to intercept the return of the Doolittle force in April 1942. She participated as a screen force in strength, at the Battle of Midway, and was present at Truk and Biak in 1943 and 1944. Before that it was thought to convert her as an hybrid aircaft carrier-battleship, but the Ise class was chosen instead, to compensate for the losses at Midway. On 18 – 24 July 1943 in drydock at Kure, she was fitted a radar and additional 25 mm AA guns. Her fate was sealed in the greatest air-naval battle of all time. In Leyte, or more exactly during the Battle of Surigao Strait on October 25, 1944, she was then under the command of Shōji Nishimura, under Rear Admiral Masami Ban, as part of Nishimura’s Southern Force. She departed from Brunei and headed for the Sulu sea. She was headed to Vice-Admiral Takeo Kurita’s force in Leyte Gulf, but the fleet was spotted when sailing off Mindanao. She was soon attacked by the air group of USS Enterprise, Grumman TBF Avenger and Curtiss SB2C Helldiver dive bombers. A bomb hit the decks near the turret and destroyed the catapult and both floatplanes, another hit the deck near Turret No. 2, knocking out the first battery, and she listed 2 degrees to starboard. but survived. The day after at 01:05 she fired by error on the Mogami. It is believed that during this night at around 03:09 she was spotted and torpedo attacked by the destroyer USS Melvin, hit amidships on the starboard side. Reports are diverging on her fate: She slowed down and left formation but for some she broke in two and the two halves sank in about 45 min, in a pool of burning fuel, at 03:50. Only ten sailors survived, rescued by IJN Asagumo. Her wreck was rediscovered in 2017, showing that contrary to popular opinion, the hull was still in one piece, with the bow broken and angled away while the entire bridge structure was missing, detached by the force of the sinking and laying nearby. Author’s HD illustration of the Fuso in 1940 – The Fuso in 1942 had the characteristic and impressive “pagoda”, probably the most extreme bridge superstructure ever built for a ship. It looks flimsy but was quite strong due to the tripod mast underneath. If speed was really an issue, that was quite a source of drag. Fuso in 1944. 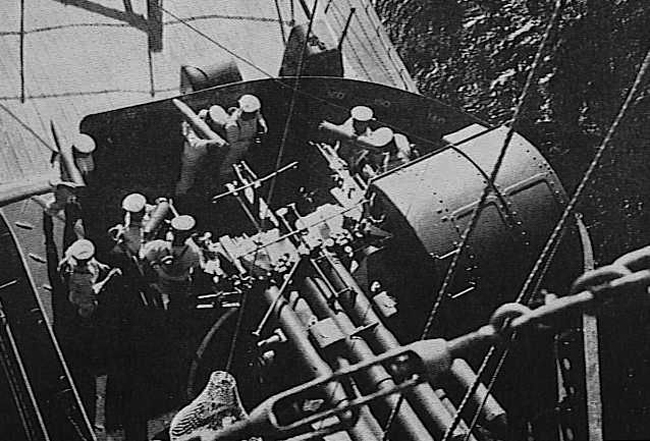 The anti-aircraft artillery had reached its maximum, and the ship was equipped with new electronic systems, advanced telemetry and radar (wikimedia commons). Her name derived from a former province of Kyoto. She emerged from Yokosuka, completed 31 March 1917. She was affected to the 1st fleet, 1st division and patrolled the coast of China until the end of WW1. Yamashiro tested an aircraft flying-off platform on Turret No. 2 in 1922, launching Gloster Sparrowhawk and Sopwith Camel fighters, a first in the IJN. After refit, a catapult and collapsible crane were added on the stern. 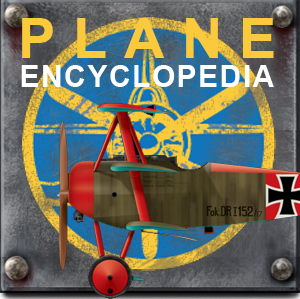 Both ships could eventually operate three floatplanes without hangar, Nakajima E4N2 and later E8N2 biplanes in 1938. From 1942 these were replaced by Mitsubishi F1M biplanes. In 1923 she assisted victims of the Great Kantō earthquake and in 1925 visited Manchuria, and drilled along the coast. She was taken in hands in 1930 for a large refit and emerged 30 March 1935 under the command of Captain Chuichi Nagumo. But two years later she was back for another refit at Kure, from 27 June 1937 to 31 March 1938, and as in service under Captain Kakuji Kakuta and later Chozaemon Obata in May 1941 under the 2nd division, 1st fleet with her sister ship (The two Fuso and two ise class battleships constituted the 2nd division then). After heading from the Hashirajima to the Bonin Islands she served as a distant support for the Pearl Harbor operation. She was later part of the Aleutian Support Group and Operation MI (Midway), under Vice-Admiral Shirō Takasu. By 1943 she was back to serve in Japan as a training ship. There were thoughts of conversion as a hybrid ship but she was eventually fitted with a radar and an additional 25 mm AA guns instead. She carried troops for Truk and when back to Japan took a torpedo fired by USS Halibut on IJN Junyo, without much damage. During the campaign of Saipan in June 1944 it was planned to beach her on place after carrying reinforcement troops and used her as a fixed battery. However operation Y-GO was cancelled after the decisive defeat of the Philippine Sea. IJN Yamashiro took part in some protective actions but without really fighting, and met her destiny at Leyte, the battle of Surigao, where he was not only struck by four torpedoes from destroyers but also many heavy shells of American battleships, sinking while leaving only 10 survivors. She was then part of Nishimura’s Southern Force and was heading to the Sulu sea when attacked by USS Enterprise air group. She had a near-miss and almost listed to 15°, while loosing personal to strafing and rocket attacks, but had no severe damage. Between 03:00 and 03:40 she was hit three times by torpedo attacks led by destroyers such as USS Monssen and Killen (Fletcher class). As a result she fell off formation and around 03:52, was spotted and litteraly executed by heavy fire coming from the whole formation of Admiral Oldendorf squadron. She was hit by a deluge of shells from Louisville, Portland, Minneapolis, Denver, Columbia, Phoenix, Boise and battleships West Virginia, Tennessee, California, Maryland and Mississippi and even the Australian heavy cruiser HMAS Shropshire. This lasted for 18 minutes, during which the crew fought on despite immense damage and the loss of all main turrets but four. By 04:09, she was augmenting speed to 12 knots and later 15, trying to escape the trap. But she was later caught and apparently took four torpedo hits from USS Bennion. She disappeared at about 04:21 and 10 crew members survived. She was rediscovered in 2017 by R/V Petrel, upside down and mostly intact, the bow folded, compartments collapsed. ONI silhouette recognition plates for US Navy commanders showing the Fuso with an more excessive bridge. Armor: Belt 305 mm, turrets 305 mm, barbettes 204 mm, citadel 351 mm. Armament: 12 x 356 mm (15-in) (6×2), 14 x 152 mm (6-in) barbettes, 8 x 127 mm DP (5-in), 95 x 25 mm Type 96 AA), 3 Nakajima seaplanes. Fixed ! Thx. Indeed, some article needs proofreading and it’s a solo blog (no guest blogging for the moment), that’s why i’m down now to one post weekly this year.